This post is not like the other Mawlid posts debating whether it is appropriate to do it or not. I am not qualified to speak on such topic, however, I do want to share a story of mine from last year. Before that a little about what is Milad/Mawlid for people who don’t know. Mawlid (or Milad as known to South Asians) is celebrating the birth of the Prophet Muhammad, peace be upon him, on the 12th of Rabi‘ al-awwal (ربيع الأوّل) the third month of the Islamic Lunar Calender. It is similar to the Christmas by Christians, okay may be not similar but the same concept, hence similar. People gather in Mawlid to praise the Prophet. Mawlid gatherings differ by cultures. Other Muslims consider it to be having no basis in Islam thus an Innovation (Bidah) in religion, hence condemned. That is the brief intro to what Mawlid is for those who heard this word for the first time. News spread across the town and the business transactions came to halt. People ran towards the Mosque not knowing what to do. Life came to an end, sadness became widespread. A community left without an Imam, a city left without a statesman, and a nation left leaderless. Everyone was in shock, the calamity had befallen, God had summoned one of His beloved creation back, the Messenger of Allah Muhammad Arabi (Peace be upon him) had passed away. The death of the Prophet of God was indeed a shock to the community, and the reaction of various companions of Prophet Muhammad was natural too. Even though they knew fully well that one day prophet will depart this world and they will be all by themselves, they still thought that Muhammad did not die. However, the golden words of Abu Bakar- If you worship Muhammad then know that he is dead but if you believe in God then know that he lives forever- made the companions of the Prophet Muhammad realize that they indeed believed in God and worshipped only Him. This was the essence of Islamic monotheism that people should not only believe in One God but also ask only Him and no One Else for help and sustainance, as only Allah has the power over all things. He is the Creater and Sustainer of the this Universe, He is All Powerful, the Magnificient. To Him belongs the Heavens and the Earth and the whole universe and thus worship is due to Him alone. Its pity that today, after 1400 years of interaction with other cultures and traditions, this monotheism is under attack once again. It is not out of the shock of the love of Prophet’s death but it is mainly due to ignorance and the lack of understanding of the Islamic creed and the message that was given to all the Prophets from Prophet Adam to Muhammad (May Allah have mercy on all of them). It doesn’t matter what firqa (sect) one belongs to or what madhab (school of thought) one affiliates with. Islam is after is and will remain to be what was revealed to Prophet Muhammad by God in His speech The Quran and the Sunnah of Prophet that was divinely inspired. Today we see some Muslims acting very much like Christians. What difference does it make whether a Christian asks Prophet Jesus for something when in need and a Muslim ask Prophet Muhammad or even saints and some companions of Prophet Muhammad in times of need. Is God not sufficient for them (Muslims)? Do they think that God is not All Powerful, when Allah Himself stated in the Quran that He is all Powerful. Do they think that the first and second generation of Muslims prayed to the Messenger of Allah instead of Allah? Time after time in Quran Allah says that pray only Me and no one else, that worship is only due to the Creater of the Universe and no one else. Do people not think that God was the one who created Muhammad and to Him Muhammad belonged? Say: “My Lord has commanded justice; and that you set your whole selves (to Him) at every time and place of prayer, and call upon Him, making your devotion sincere as in His sight:such as He created you in the beginning, so shall you return.” Quran 7:29, Abdullah Yusuf Translation. Every day over 10 times a Muslim recites in “…Thee do we worship and Thine aid we seek…” in Surah Fatiha- the opening chapter of Quran asking Allah for aid, if one prays 5 daily obligatory Salah (prayers). Why do we see some Muslims, even educated Muslims asking saints, companions and even prophets for aid? 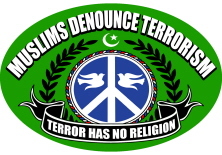 Islam is a simple religion with simple believes. People tried to find middle grounds between the religion of Islam and the dominant traditions and believes surrounding them in the past. Slowly and gradually they changed and innovated and got involved in Bidah unknowingly. After a generation or so it become a custom and tradition and after another generation or two it become a belief and a sect. What once might have started with a good intention, or at the expence of ignorant masses (as was in the case of South Asia) it became a different school of thought very far from the very teachings of Prophet Muhammad, affirming to very old Jahiliyya tradition that the Last Messenger and the Seal of the Prophethood was sent to resist and demolish. Today we see in South Asia (and probably other places as well), ignorant Muslims and mostly illetrate Muslims, praying and prostrating at the graves of Saints, which saints would have never approved such acts of kufr if they would have been alive. Those saints spent their lives in dedication and in the service of Islam. Their teachings today are being neglected but their shrines have become the scene of sadness and disgrace. Not only that but some people believe that when Prophet was acended to heavens by the will of Allah on the occasion of Miraj, “the noor of Muhammad and the Noor of Allah combined and the angels couldn’t differnciate between who is who.” Some people even go further in their believes and in praising the Messenger of Allah when Prophet said that “Do not exaggerate in praising me as the Christians praised the son of Mary, for I am only a Slave. So, call me the Slave of Allah and His Apostle.” Narrated by Umar (Bukhari). Some Muslims today ask Muhammad to intercede to Allah for them. 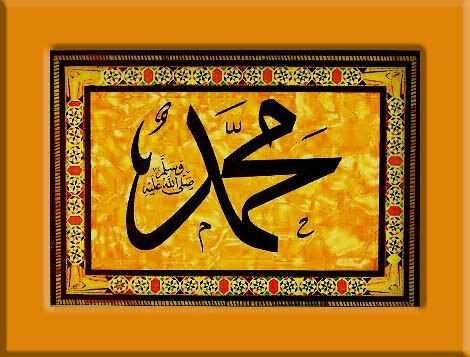 They think that Prophet Muhammad is physically present and hears every thing, which in Urdu its called “Hazir Nazir.” The opening senario and the golden speech of Abu Bakar in this article is evident that Prophet did indeed passed away and that if you worship Allah then know that God lives for ever. Only God is to be worshipped and only He can be asked for forgiveness and aid as Allah commands in Quran. So the intercession is for the hereafter not for this world. In this world the right thing to do is to ask God for help, to worship Allah, and believe that Muhammad is His slave and the Apostle and know that if you worhsip Muhammad than he is dead, which means he can’t see you or physically be present in your company. But if you worship God, then God lives for ever and He is present everywhere, in fact closer to your heart. 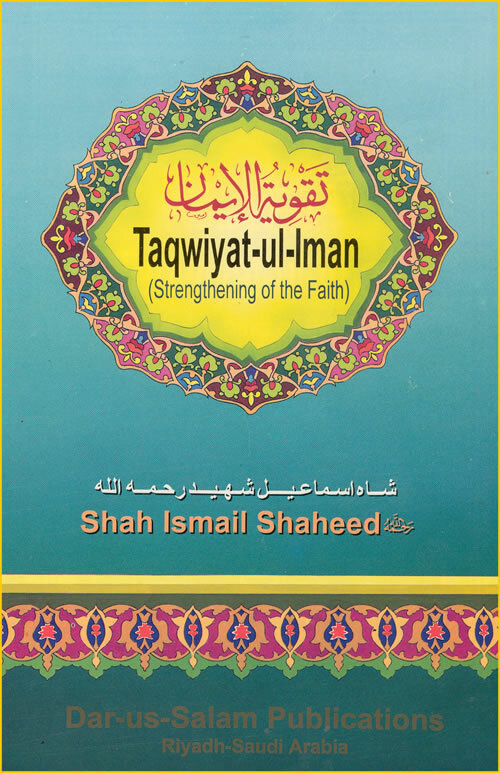 Hamza Yusuf, The Creed of Imam Al-Tahawi. Zaytuna Institute, United States, 2007. Saifur Rahman al-Mubarakpuri. Ar-Raheeq Al-Makhtum (The Sealed Necter). Page 215. The best talk (speech) is Allah’s Book (Quran), and the best way is the way of Muhammad, and the worst matters are the heresies (those new things which are introduced into the religion); and whatever you have been promised will surely come to pass, and you cannot escape (it).